Senator Dino Melaye's recall process has hit another gridlock. 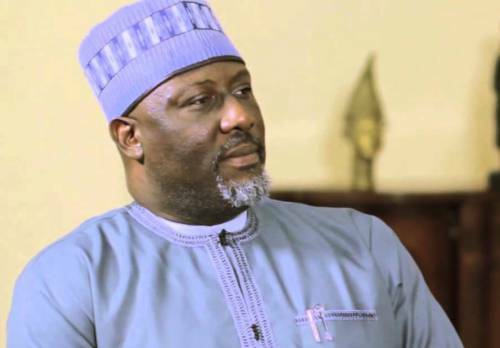 Concerned Kogi Registered Voters (CKRV) has filed a suit at a Federal High Court in Abuja seeking to stop the Independent National Electoral Commission (INEC) from commencing verification of signatures collected in order to recall Senator Dino Melaye, representing Kogi West at senate. Addressing newsmen yesterday in FCT, Abuja, convener of the group, Olowosayo Gabriel Sunday, claimed that names of dead persons and people who did not reside in the district appeared on the recall register submitted to INEC. The applicants, who frowned at the 188,000 signatures which were submitted to INEC, noted that while 111,534 voted in the general election in Kogi West, the total number of registered voters in Kogi West was 360,098. According to a copy of the motion which was made available to newsmen, INEC, which was the first respondent, was sued alongside eight other respondents, comprising some aides of Governor Yahaya Bello and state lawmakers from the senator’s district.